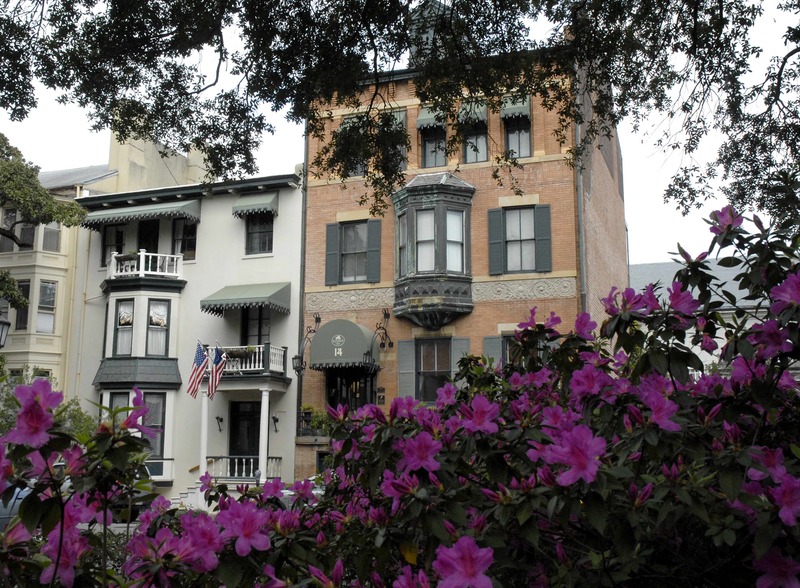 Start your Savannah GA vacation at the Foley House Inn. We are located on historic Chippewa Square in the exact center of the Savannah Georgia Historic District. We are a 19 guestroom Savannah bed and breakfast and we are rated 4 diamonds by AAA. All of our guestrooms include a full, cooked to order southern breakfast, afternoon sweets and tea and evening wine and hors d’oeuvres. All of this is complimentary and included in the room price. There is no extra charge for anything. That’s the right way to start your Savannah GA vacation. Our staff is happy to help you to plan your Savannah GA Vacation Package. We will help you to explore some of the area’s most popular attractions and secure reservations at the best restaurants Savannah has to offer. Historic Savannah Georgia is bursting with Southern charm and hospitality. The city feels like it’s suspended in time, thanks to its century old architecture and the 26 squares that make up the Historic District. Take in the beautiful views of the Savannah river as you walk along river street, then become inspired by the cultivated beauty of our romantic city. At night, try a ghost tour for an introduction to the spooky side of the city. There is no place more haunted than here. We even have a ghost that likes to visit for a Savannah GA vacation. Whether you’re off for a romantic getaway, family trip, or an all-inclusive holiday, teh Foley House Inn vacation packages make planning your trip simple and affordable. Find the perfect vacation package for Savannah GA vacation by comparing our prices with that of the large hotels. Travelers like you realize that we have a LOT more to offer at a reasonable rate. You will not find value like this at a chain hotel and you will not experience authentic Savannah like you will here.